Co-chairs: Sultonov T., Tovmasjan K.
Young experts, master’s degree students, representatives of three republics (Uzbekistan, Kazakhstan, and Kyrgyzstan), representatives of UNESCO, Kazakh-German University and others took part in this special session. 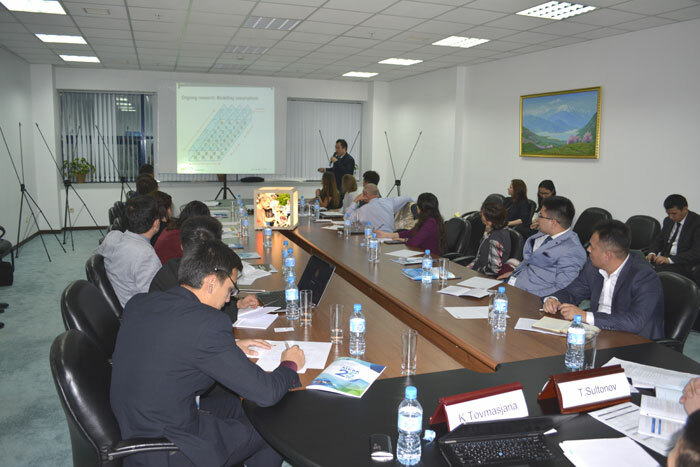 During the session, presentations were made by: Samakov A., Cultural Research Center “Aygine”, Bishkek, Kyrgyzstan; Shoergasheva Sh., master’s degree student of TIIAME; Abdikayim Zhienbek, scientific research assistant of Higher Technical School of Zurich; Shakirjanova L., manager of master’s program on IWRM at the Kazakh-German University. Legal framework of cooperation and water diplomacy. 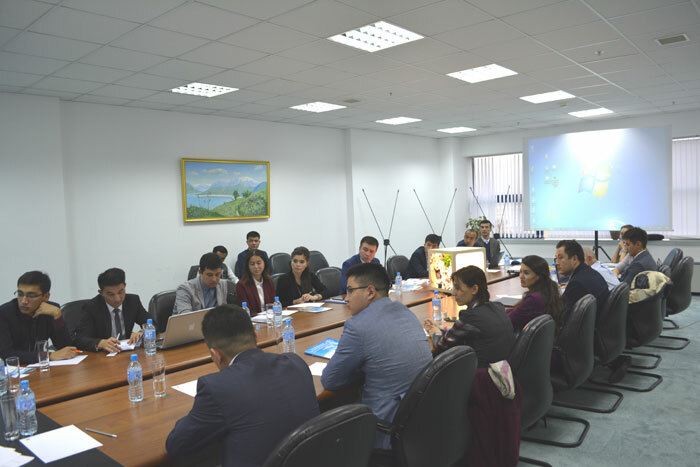 Organize special sessions for young water professionals in all international and scientific-practical conferences on agriculture and water to be held in the Central Asian states. 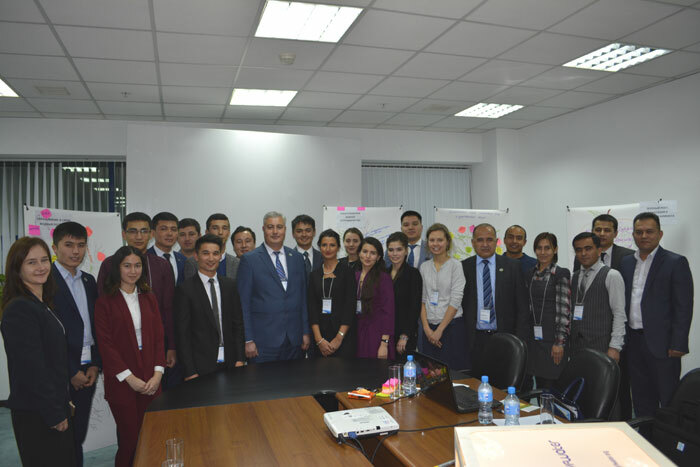 Each year, organize summer or winter courses for young water professionals in Central Asia to address such issues as operation of existing hydrotechnical facilities, introduction of up-to-day water saving technologies, application of innovation technologies, such as GIS and RS in water management. Provide support to young representatives of the water sector from the side of respective ministry and international organizations, hold contests of R&D and papers to improve knowledge and skills. 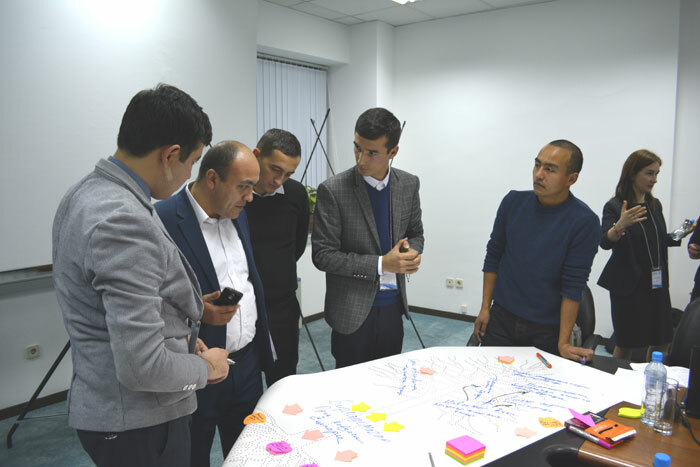 Organize, each year, thematic skills competition among young water professionals in Central Asia, with the awards providing possibility to train in developed countries. 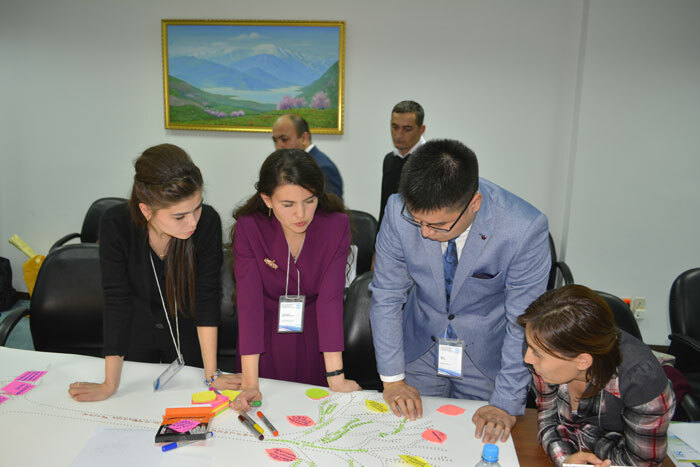 Create the community of your water researchers in Central Asia to share information, develop joint projects and actions at regional and national levels. Finally, Dr. Sultanov (TIIAME), K. Tovmasjan (UNESCO) and Dr. A.Salokhiddinov extended kind words to youth representatives. The session was held at a high standard, interactively and, more important, young water professionals had the possibility to meet and share knowledge that would have a positive effect on development of future agendas. We are strong together!